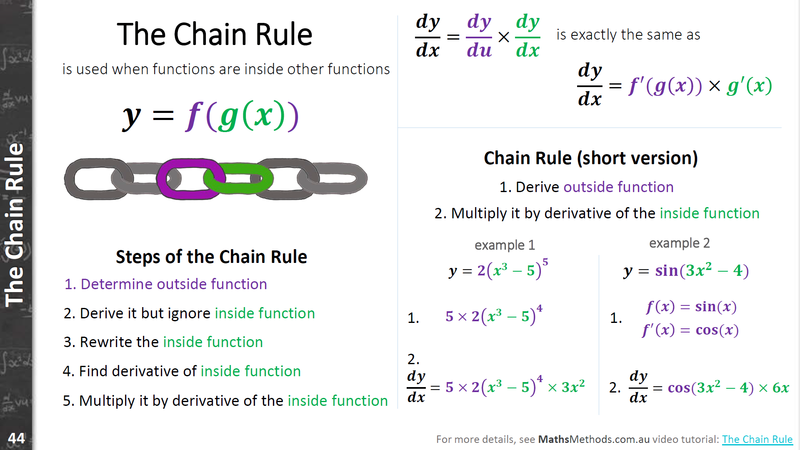 Last week we covered basic Calculus so this week let’s look at The Chain Rule! Here’s an edited snippet from the Maths Methods Video Tutorials created so it covers the basics in just 30 seconds. The actual tutorials cover it in much more detail but it’s a good start!